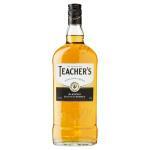 Let’s take our “whisky taste lesson” where we left it. Having already made it clear that the first step is to recognize the signs of smell, the following is performing a sensory evaluation. To make the sensory evaluation it is recommended to prepare something to write our annotations. Our tasting notes are basically separated as follows: distillery, brand, age and strength to start, then appearance (color, texture and clarity) ; intensity ( on a scale of 1 to 5) ; flavor (diluted primary aromas, secondary aromas and development) and taste (mouthfeel, elemental flavor, overall flavor and finishing). Also add your comments and a score from 1 to 10. 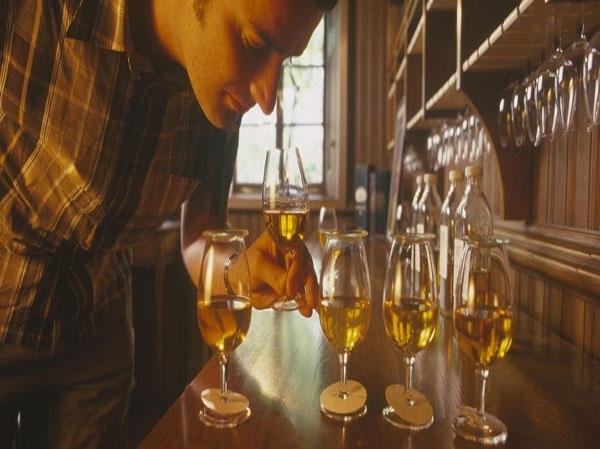 For sensory evaluation we have to take into account the aroma and flavor of the whisky. First step: Pour yourself a shot of whisky and watch it with a white wall background to evaluate its sparkle and appearance, shake to appreciate every nuance of color and describe it in your notes. You can use any term that you like. Pale gold color is the result of maturation in the barrel which has been filled several times. A half-or full- gold colored is first filling barrel ex-Bourbon ; a polished copper colored is a whisky that has been re-accumulated in sherry wood for the last year of maturity ; the polished mahogany, is a first charge ex-Sherry barrel, while the Crimson is a port barrel, to give examples. Second step: Shake the cup again and the second spirit will show tears or droplets that cling to the glass. This will be a clear indication of the alcoholic strength of the drink. Then you must put the drink to the light to see its clarity and make corresponding entries, can be done during the addition of water. If it looks slightly hazy, whisky has not been chill-filtered; this is a good thing because the chill-filtered whisky keeps it nice and bright but takes away some elements of flavor. Third step: Move the new spirit and warm the glass in your hand to smell it. The scent will come up as you while you warm the glass in your hand. Take into account how complex it is, and if you can discern any particular smell, annotate them, using comparisons based on the memories that will generate each odor. You can leave it for a minute, to settle and to be able to appreciate more flavors. Smell develops over time. Step Four: Take a small sip to appreciate the flavors and the first impression is the most important for annotations. After that, put your the nose on the rim of the glass for a first odors capture, breathe fresh air for rest your nose and then get closer, this time inside the rim of the glass. You will discover new odors. Step Five: Go back to try a sip and analyzes whether it is soft or viscous, if fresh, biting or dry on the palate and finally if it has body and is light. Then take another sip and after a while identify the persistence of the flavor on the palate.